Although sanctuary city policies appear to be a matter of simply disobeying immigration laws, rule and regulations. The mayors and city managers are “leaning” on local police departments to refuse to assist special agents from ICE in their operations to identify criminal aliens, capture them and hold the aliens for a determination on their eligibility to stay or be deported. The mayors and police chiefs claim they will not provide sanctuary for illegal immigrants who have committed violent and other serious criminal acts. Following Donald Trump’s victory over pro-sanctuary city Democrat Hillary Clinton, Democratic mayors in the cities of New York, Chicago, Los Angeles, Seattle, Philadelphia, San Francisco and Providence, R.I., among others, said they will challenge in court any Trump administration move to crack down on illegal immigration within their jurisdictions. While these political leaders have prevented ICE from taking groups of immigrants to face the judges assigned to hear immigration cases for a number of years, the Trump administration is taking an approach that’s diametrically opposed to President Barack Obama. But this time, the Republicans have a leader who believes in protecting American citizens from the threats posed by criminal aliens such as members of the El Salvador-based organized crime gangs known as MS-13. 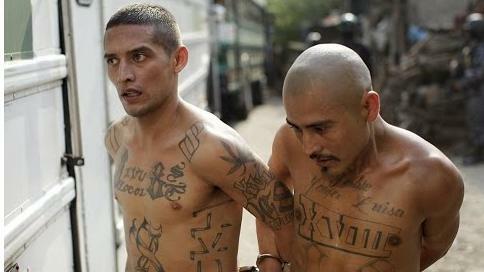 The FBI estimates there are over 50,000 MS-13 members nationwide. Unfortunately for these cities, their shares of the billions of dollars the feds give them is at stake. For example, San Francisco gets about $1 billion each fiscal year from federal agencies, both directly and through the state, according to Ben Rosenfield, the controller for the city and county. The city is “assessing budget impacts from possible federal actions,” but support for public health and human service programs could be affected, he said. Presidents do have some limits on their powers to block federal funding for local governments. Technically — at least before President Barack Obama — such actions required the approval of the legislature, according to legal expert Michael Baker. “For example, Trump would need congressional approval to cut funding for Medicaid,” said Baker, an attorney and political consultant. “But President Trump would be on safer legal ground if he called for cuts to discretionary funding, particularly federal grants related to criminal justice and offered by the Justice or Homeland Security Departments,” noted Baker. Law enforcement expert and former police commander Joseph McInerney explains that Immigration and Customs Enforcement cannot be hampered by local police agencies or officers. “ICE can still go into American cities and enforce federal immigration law without any assistance from local cops. But sanctuary city protection does make ICE agents’ work much more difficult,” McInerney told Conservative Base. But as difficult as they make it, sanctuary city police cannot prevent federal agents from identifying child molesters, immigrant gang members and other criminals. These criminal aliens can still be detained by federal officers in sanctuary cities by just going into the suspects’ neighborhoods and through their own intelligence gathering and analysis operations. Last year, the Republican majority in House of Representatives passed legislation that would have withheld federal, law-enforcement grants from so-called sanctuary cities. President Barack Obama said he would veto the bill and Senate Democrats blocked a version in that house by calling for 60-votes to pass it. But now the POTUS is willing to sign such legislation if he believes his efforts are being hampered by the Democrats who are beholding to the illegal immigration “industry” that has become lucrative for both the Democratic Party and the activist organizations. “The DNC gets donations galore from organizations and individuals who support open borders and oppose immigration control. The activist groups receive millions of dollars in donations from.their supporters and from the illegal aliens themselves. It’s a huge industry with large sums of money being handed out to one another,” said former police officer Iris Aquino. “Even if the government gave every single illegal immigrant amnesty, these activist organizations would not fold-up their tents and go home. They are making too much to give up,” she added.